Before applying German SKY Alliance, you must have Vatsim or IVAO membership. Please do not forget to write your Vatsim or IVAO ID on the application form. 1- ...When we recieve your application, you will recieve a mail from our Membership Department. 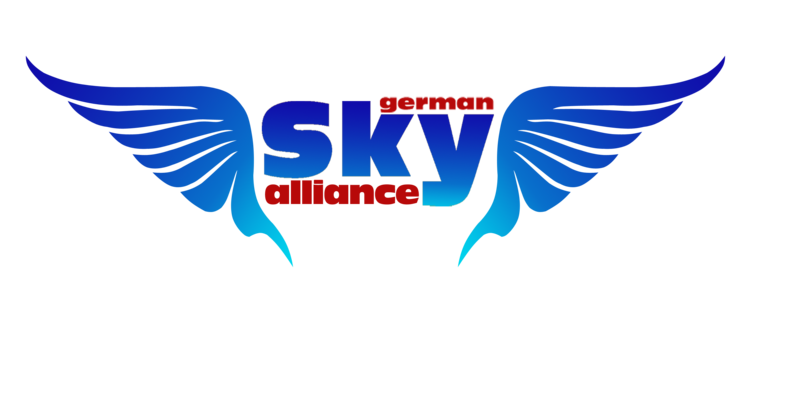 be requested to have an interview on the German SKY Alliance Team-Speak 3. 2-... Having 50 online hours on Vatsim or IVAO platforms may enough to join German SKY Alliance. Confirmed applicants will start to fly for German SKY Alliance Airlines ( German SKY Airlines, Borajet Airlines, SKY Airlines or Candan Air) with the rank Private Pilot. All online GHY Alliance call-sign flights will be added to current hours for the each pilot and these hours will be seen on Roster part on our website. 3- ...After being a member of German SKY Alliance, the first flight has to be done in 7 days time with your given GHY Alliance callsigns, otherwise your application will be cencelled if you do not have any excuses. 4- ...You may only have domestic flights with Private Pilot Rank except for special permissions. 5- ...After having 100 hours on Vatsim/ IVAO platforms, German SKY Alliance Staff may ask you to have a Check Flight to see your further experiences. 6- ...Sufficient sources and documents are available on our website. 7- ...STAFF members are not allowed to fly for other Airlines with different Call-Signs, as they represent German SKY Alliance officially. 8- ...With a special permission, pilots are allowed to fly with different call-signs, please contact our Staff for more information.